In this post we have a few simple Christmas themed activities for you to try that the children will love and learn from. This simple Christmas themed activity allows children to familiarise themselves with shapes, patterns and everyday objects, and then use mathematical language to describe their characteristics. 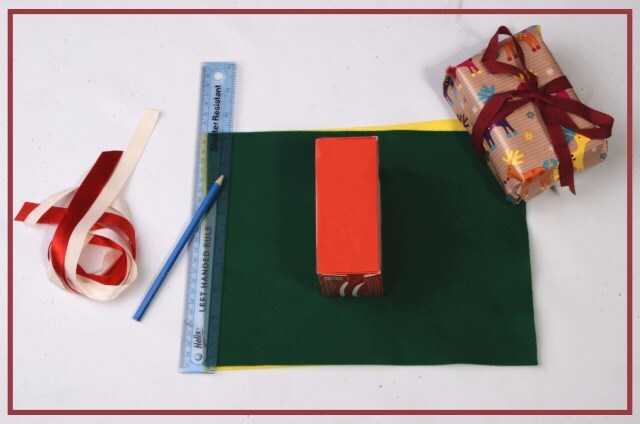 Providing them with a ruler, this will give them a basic understanding of how measurement works, and how to wrap the perfect present! For this, we have used objects and boxes of various shapes and sizes for the children to try and wrap up. You can use wrapping paper or just normal coloured paper, but if you’re worried about paper cuts, here, we have used some of our felt sheets! Get them to start using the ruler to understand basic measurement. Hopefully by doing this they will get an idea on the size of their shape and also how much material and ribbon they may need to wrap it up. This quick craft is for basic mathematical skill development for Early Years. 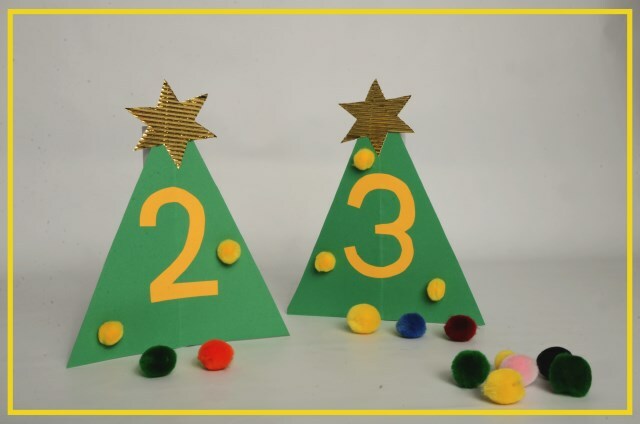 To make this, we have cut out a large triangle from green card to make a Christmas tree, once we have this, we had then cut out large numbers from a piece of contrasting card and stuck it on the front of the tree, along with small pom poms that match the numerical value that’s on the tree. We have then glued the finished tree on the front of a cardboard tube. Gather up a few different sized pom poms for them to use, then the children have to get the right number of pompom’s to filter through the tube. From this they will gain an understanding of numbers and improve on their counting skills. 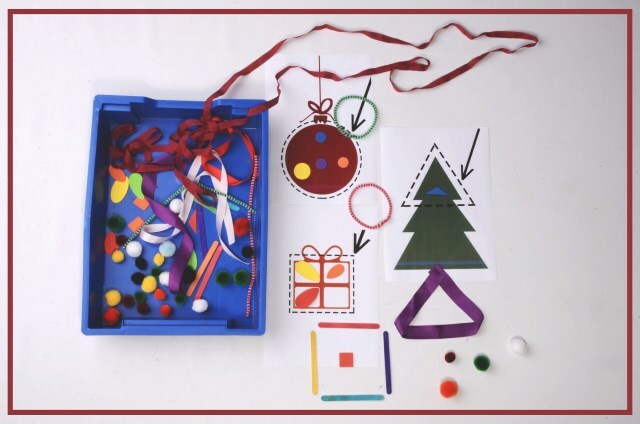 For this we have a range of different materials, varying from pipe cleaners to lollipop sticks placed in a tray partnered with Christmas themed templates (to download these templates, please find them attached below). 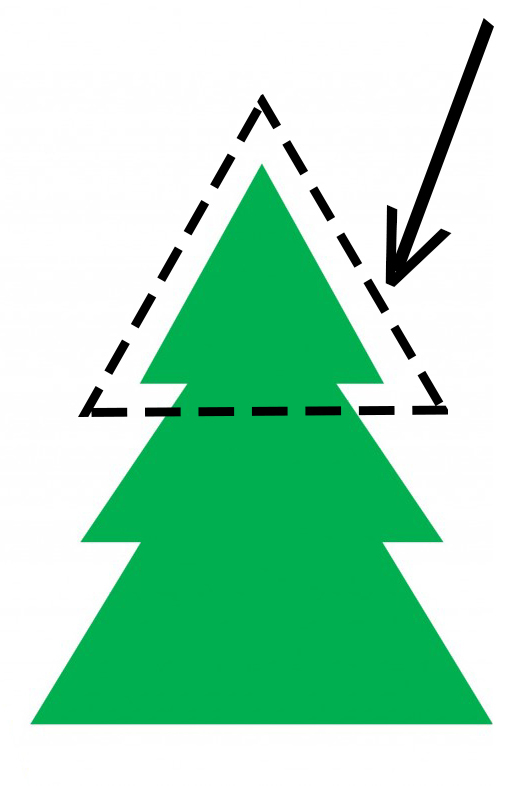 These templates show Christmas themed images that also resemble a recognisable shape. They have to use the materials that are provided in the tray to recreate the shapes shown in the pictures given. This allows them to explore a variety of materials and techniques whilst also gaining an understanding of shape characteristics. Take a look at our Early Years Pinterest for more quick ideas! 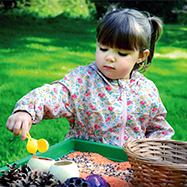 Visit The Consortium Early Years’ profile on Pinterest. Sign up for the latest activites and ideas to make learning fun!